Microsoft's Surface tablets continue to lose money, according to Microsoft filings, a trend that doesn't show any signs of changing. In its latest filing, Microsoft disclosed that for the March quarter, Microsoft's Surface tablets and accessories pulled in $494 million. But the company spent $539 million in chasing those sales, "which increased due mainly to a higher number of units sold," Microsoft said. The latest Surface revenue numbers were reported earlier by The Guardian. As the paper noted, Microsoft spent $932 million to receive $893 million in revenue for the December 2013 quarter. A year ago, during the first calendar quarter of 2013, Microsoft spent $616 million to generate $400 million in revenue. 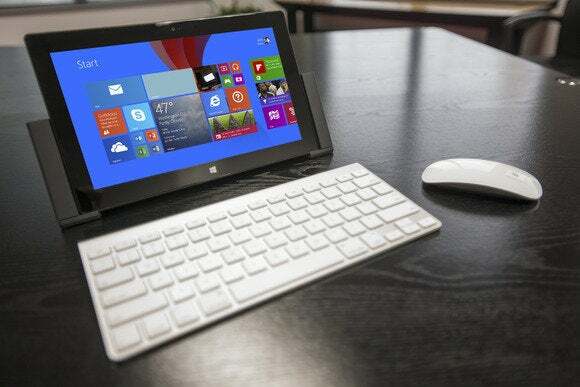 Last summer, word of Microsoft's money-losing Surface tablets began leaking out, when the company reported $863 million in Surface revenue for its fiscal year, versus the $900 million charged against its profits for discounting the Surface tablet. If nothing else, Microsoft's tablet line appears to be on the road to profitability, losing less money and generating more revenue than the same period a year ago. And, understandably, Surface revenue was lower during the first quarter than at the height of the holiday selling season. Still, Microsoft's presence in the tablet market remains a drop in the bucket compared to tablets like the Apple iPad, which recorded a "poor" fiscal second quarter, reporting only $7.6 billion in sales versus $8.7 billion for the same period a year ago. Put another way, Surface revenue is just 11 percent of the iPad, quarter versus quarter. And when viewed that way, Microsoft still has a log road ahead of it.